First and foremost, Constangy, Brooks, Smith & Prophete is a team of exceptional lawyers who know your business and who are committed to providing the highest levels of service. We’re a smaller firm by design, and careful in our hiring practices to focus on attracting the best and brightest talent at all levels. One thing we know is that clients want attorneys who understand their business – and our clients have let us know that having a diverse team is important. As a trusted business partner, we understand and reflect those needs. As a firm, Constangy has been at the forefront in advancing roles for women and minorities in the legal profession. In our earliest years, when women represented fewer than 3% of practicing attorneys, Mildred McClelland was one of the firm’s first partners, arguing cases in courts and before federal agencies. Before joining the firm in the 1960s, partner Jim Smith served on the American Bar Association’s inaugural committee advising the early efforts of the Equal Employment Opportunity Commission – helping the lead the way in fostering diversity in the modern workplace. And in 2015, we made history when Don Prophete joined the firm and we became the first large law firm (NLJ350) in the United States to have an African-American attorney as a “name on the door” partner. We embrace the goals of the American Bar Association’s “Resolution 113” to advance diversity in the legal profession, and proudly participate in efforts to measure and increase our success in recruiting and retaining diverse professionals. Women and people of color make up 55% of the firm’s current attorney roster, and 43% of our partners. Among our firm’s executive committee, 46% are comprised of women and people of color. 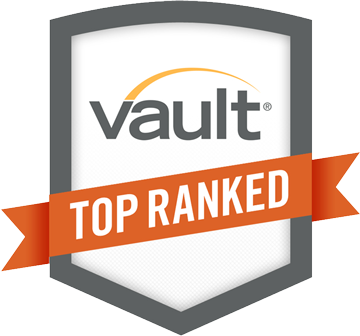 We were ranked #1 on Vault.com’s 2017 and 2018 diversity rankings as both the Best Firm for Minorities and the Best Firm for Women. The American Lawyer Diversity Scorecard named us as one of the top 50 firms for minorities and the #1 firm for African-American attorneys in 2016 and 2017. The National Law Journal named Constangy as one of the top 5 firms for women attorneys in 2016 and 2017. We were named by Law360 in 2017 as the #1 mid-size firm (150-299 attorneys) for women attorneys in the U.S.
We have above average representation by minority attorneys in our partnership ranks, and in the percentage of overall attorneys. The associates coming up through Constangy’s ranks are 36% minority and 66% women. “Top Down” diversity is a cornerstone of our future. We aggressively recruit talented women and attorneys of color, and we ensure that the younger attorneys coming up through the firm receive mentorship and guidance. This is all part of our commitment to attracting high-quality attorneys who truly understand our clients’ needs, and reflecting our own firm’s mission since day one. Lawyers at Constangy are diverse in every sense of the word. We come from a wide range of backgrounds, cultures and professional experiences. We find that diversity makes a broader, richer environment that produces more creative thinking and solutions. 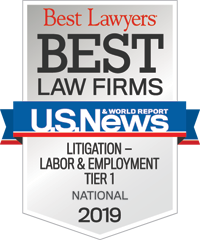 But no matter what our backgrounds, we are united in helping our clients predict, prevent and prevail in the complexities of labor and employment law.